In addition to being a romantic destination of ultimate seclusion, relaxation and intimacy where couples can reconnect, Veligandu offers many ways to sprinkle some fun into the mix with adrenaline-fuelled, scenic leisure activities both inland and at sea. While enjoying the long-awaited vacation of your dreams in paradise, don’t miss the chance to cross a tropical adventure or two off your bucket list. The wide range of fun-filled water and land-based things to do in the Maldives are a great way to uplift your spirits, challenge your skills and make memories to last a lifetime. Pick what suits you most and stay active during your dream stay in paradise! Bring along your camera and ensure you capture the moment. Share these beautiful moments with your friends on social media using the hashtag #veliganduisland. Spot vibrant sea life amid the fascinating coral reefs surrounding Veligandu. 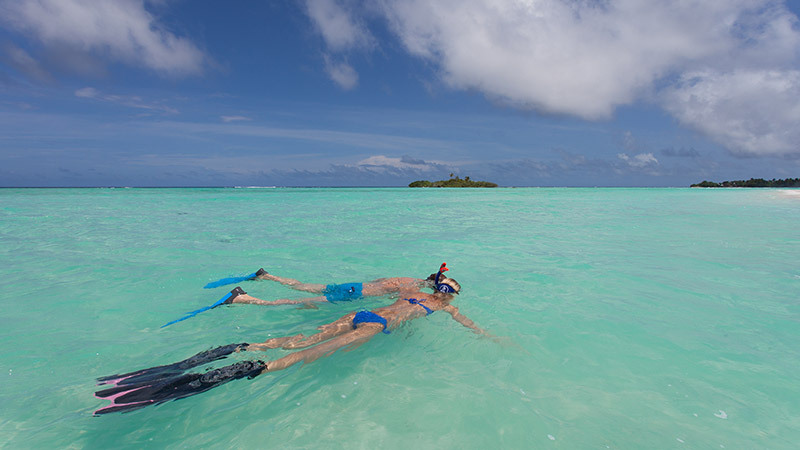 Glide through the deep blue and explore the magical secrets of the Indian Ocean. Explore the beauty of Veligandu's lagoon by jet ski, catamaran or while windsurfing, and more. Land activities at Veligandu are equally fun! Enjoy football, volleyball and more. In a mood for leisurely adventure? Try a sunset cruise, fishing or local island visit. Nights at Veligandu are plenty eventful! Enjoy live music, a Glow Party and many more.